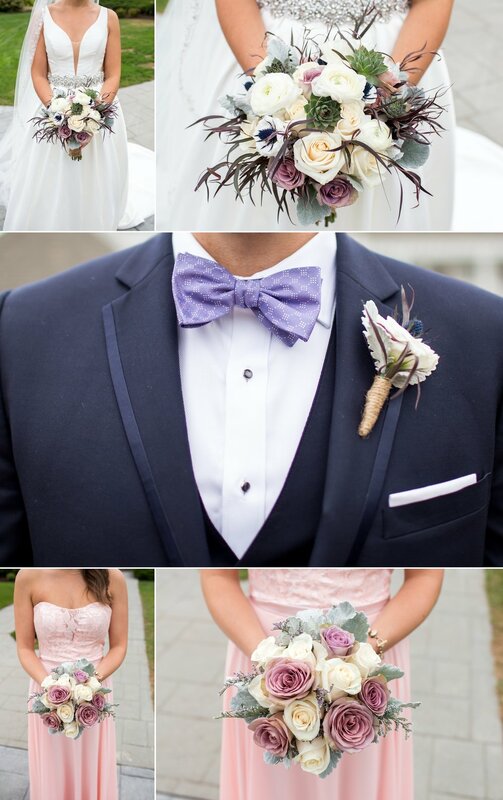 These two had me swooning ALL DAY! 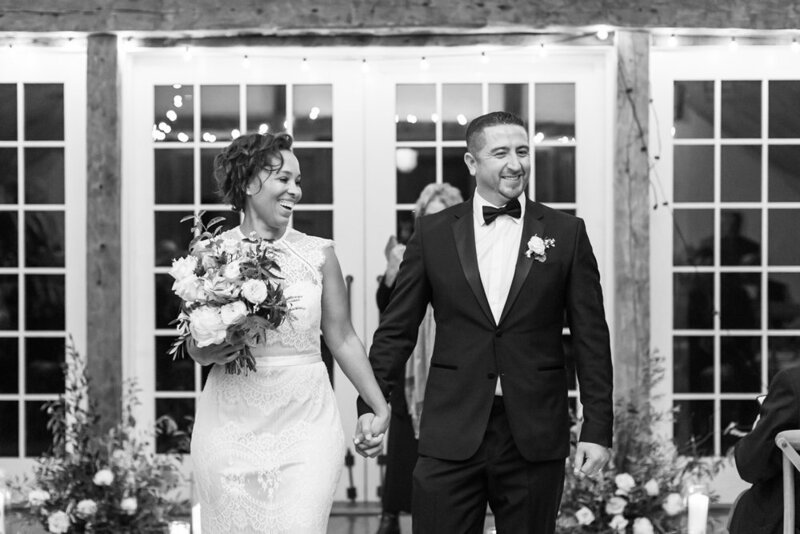 Amanda and Will were married in front of an intimate group of friends and family at The Water's Edge Resort & Spa in Westbrook, Connecticut. 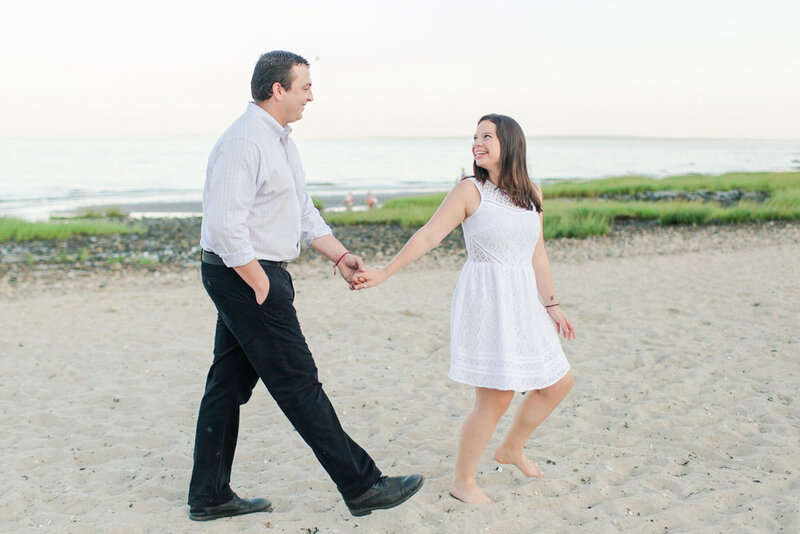 Their ceremony overlooked the Long Island Sound, making for a perfect romantic location to exchange vows and share their first kiss as husband and wife! I began my afternoon by capturing a few portraits of Will and his groomsmen as they were getting ready for the day's festivities. 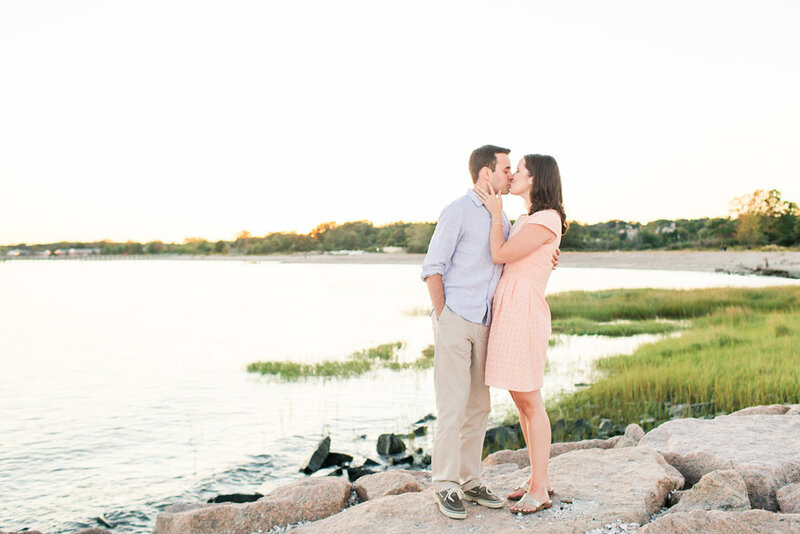 Amanda wrote her groom one of the most heartfelt love notes to accompany the personalized gifts she sent over to him. Will's reaction to her sweet words were absolutely priceless! They followed up with a First Look on the stairs in the back of the resort. As Will faced the Sound, Amanda was escorted to him by her bridesmaids, who helped to carry her veil and train of her dress to ensure it didn't get dirty. The emotion and excitement they both showed when they saw each other all dressed up was absolute perfection! Amanda and Will, it was such an honor to capture your gorgeous day! Congratulations to you both! Thank you to Rachel of A Storybook Image for having me assist you on this beautiful day. 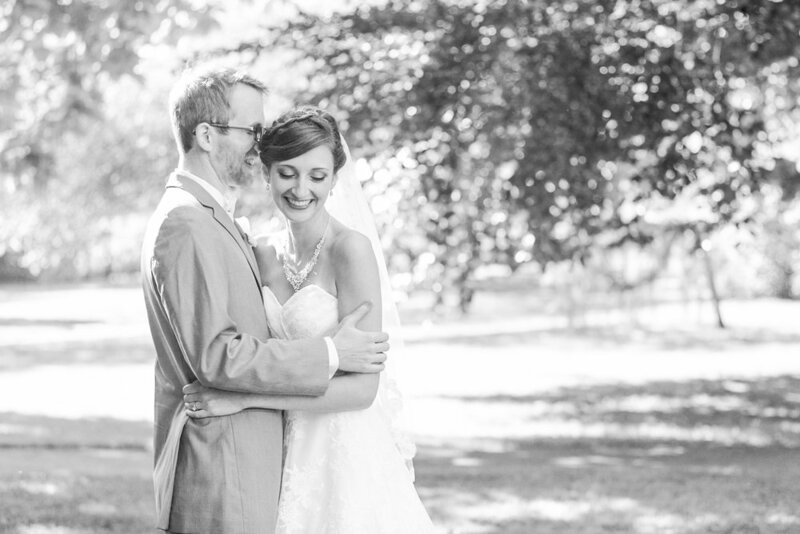 If you liked this post, don't miss Christina + George's Wedding at Feast Caterers at Round Hill!